Well, I don't know that. - "So what's your strategy?" Well, I don't know that. Also, Pink is my hero. Also also also, I think I've finally succeeded in confusing the hell out of YouTube. Yes, that's The Lion King crossed over with Pirates of the Caribbean, and then something to do with Singin' in the Rain. Br: (softly) It’s not your mother’s approval you need, Skamett - it’s your own. You wouldn’t be this upset if you were in love with a girl you didn’t think they’d approve of - or if they didn’t approve of this school, or if they didn’t approve of your friends. It might be difficult, but it wouldn’t feel impossible, because you’d know you were right - right to want to marry a girl you loved, right to want to continue at a school you seem to have been gaining so much from, right to want to be friends with the wonderful people you are friends with. If you were deep-down convinced you were in the right, you wouldn’t be so afraid of what your family would think - but they say that nobody can make you feel inferior without your consent, and it’s true. Before you worry about your family’s acceptance, you have to accept yourself. (thoughtfully) I’ve heard a lot of motivational-counselor remarks to the effect of sexuality being something that you can’t change, and the importance of accepting your identity - but I disagree with their approach, because in their haste to comfort you, they’d label you as gay faster than most homophobes would. And maybe you’re not - maybe you’re bi, or maybe you’re making an exception, or maybe it just doesn’t matter. Sexuality is fluid, and you’re young. I’m not going to give you the politically-correct, fatalistic-sounding ultimatum that sexuality is fixed and you’d better accept yours - because those people have the right idea but the wrong message. It’s not important what your sexuality is, or whether it can change - the important part is that it doesn’t need to; if you can, just try to be comfortable with whatever it is and wait for it to settle. (smiles wryly) Sometimes I think that, ironically, the gay pride movement has done more to hurt conflicted young people than it has to help them - because maybe you’re not ready to be proud yet; maybe you don’t like rainbows and the rest of the image; maybe you don’t want strangers telling you that they understand you and you’re just like them. Because you’re not. You’re just you, Skamett, and if you like boys - so what? Don’t let anyone rush you into labeling yourself; you’re first and foremost you. And it is quite possible that you could shove those parts of you away and make them diminish and find a normal life, but what’s going to be the best moment for you if you can make it happen is realizing that, yeah, you could make the feelings go away, but that you don’t have to, and you don’t want to. You both are supremely epic together... and lovely... and well the kind of friends that everyone dreams about having. Is there a way for me to join the community? 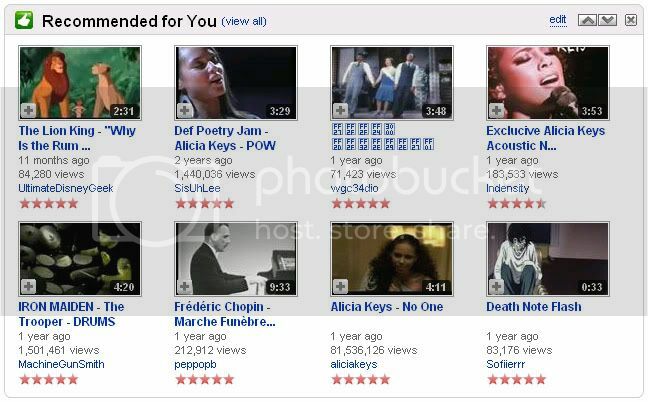 Chopin, Iron Maiden, Lion King wtf-ity, and Alicia Keys. Amazing.